Kinnegar’s winter special, Long Tongue, is named after a piece of ground up behind the brewery belonging to our neighbour Eamonn Carr. The Long Tongue is typical of the Irish tradition of identifying fields by characteristic names — how else would a farmer describe the exact patch on which a certain heifer grazed this week? 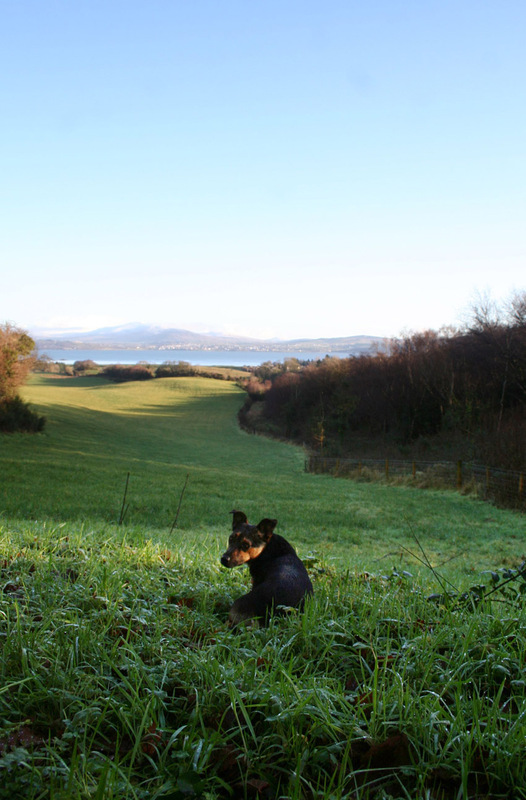 When Libby and the dogs aren’t walking on the Kinnegar in the morning, they can generally be found up the Long Tongue enjoying the fresh air and fabulous views of Lough Swilly and Inishowen. Saturday was just such a morning. Magnificent. This entry was posted on January 13, 2014 by kinnegarbrewing. It was filed under A brewery grows, On the ground .